Tortoiseshell-patterned buttons elevate a double-breasted peacoat detailed with classic button-tab cuffs. 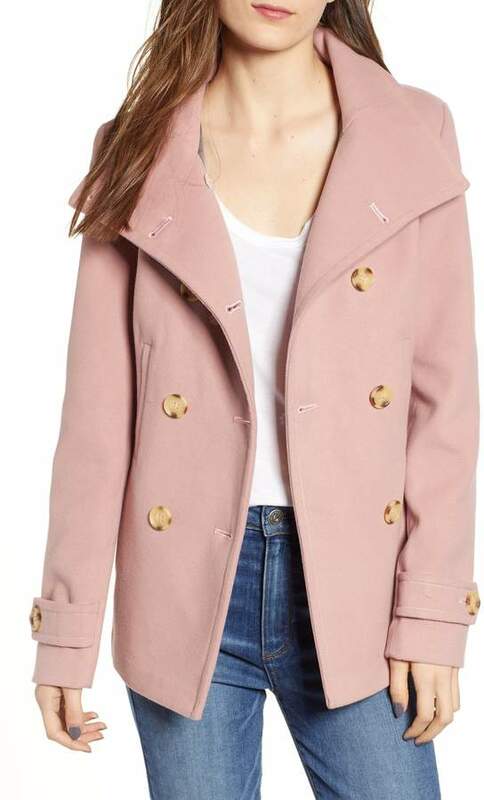 Style Name:Thread & Supply Double Breasted Peacoat. Style Number: 834386. Available in stores.